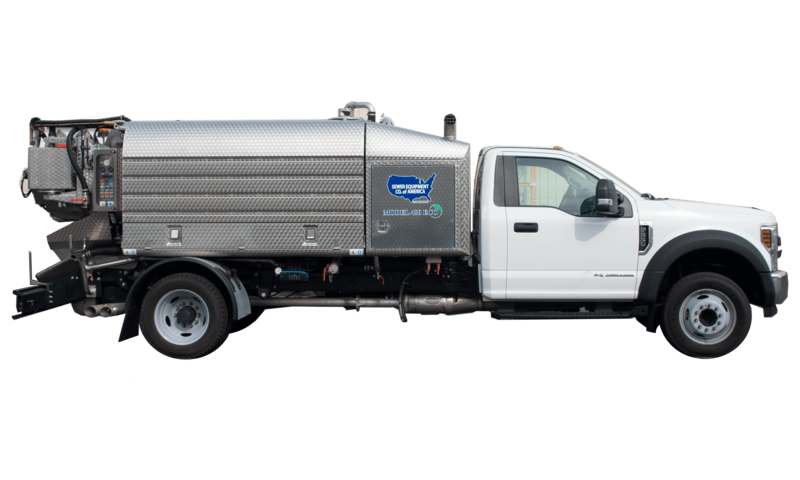 The Model 400 ECO Mini Combination Sewer Cleaner from Sewer Equipment CO. of America by Sewer Equipment is the RIGHT SIZE, RIGHT FIT combination sewer cleaner for any municipality or plumbing contractor looking for a truck complete with compact footprint, powerful vacuum and robust jetting capabilities. 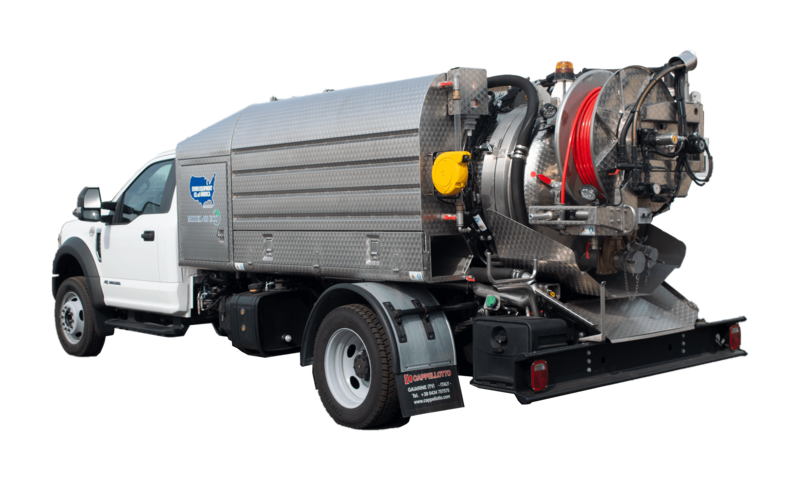 Sewer Equipment’s Model 400 ECO is a jet vac truck that utilizes a 19,500 GVWR chassis therefore requiring no CDL, while also offering the ability to enter a standard 8-foot parking structure. This powerful mini combination truck with a compact footprint is the only of its kind in the market today. 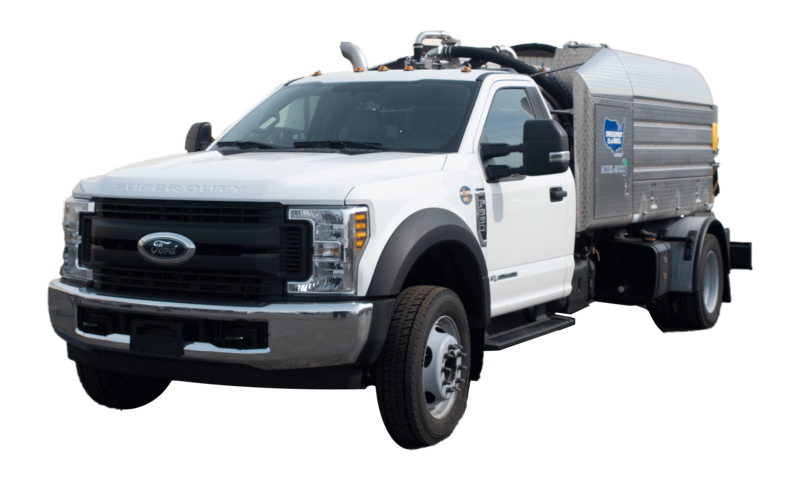 This cost-effective truck is great as an emergency response vehicle for large contractors and municipalities, but also a perfect fit for small to mid-size contractors and municipalities that are looking to add a vacuum component to their jetting operations. 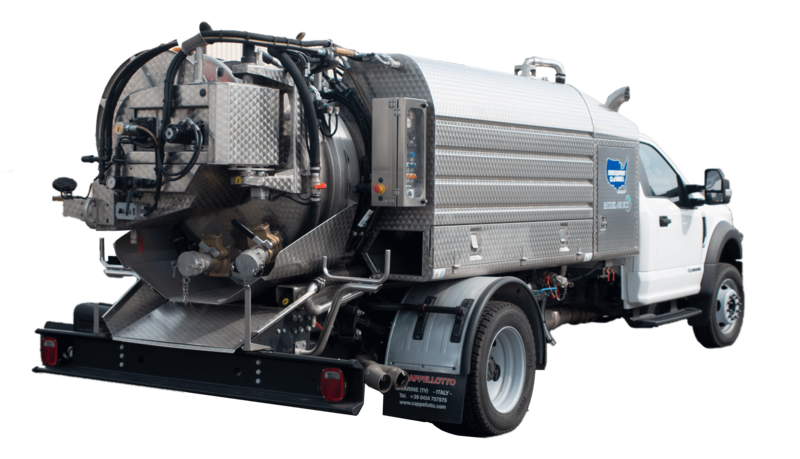 The Model 400 ECO Mini Combination Sewer Cleaner from Sewer Equipment CO. of America by Sewer Equipment touts all stainless-steel construction for long lasting durability including its 4-yard debris tank, water tank with up to 600-gallon capacity, hose reel with 400 feet of ½” sewer hose and full shroud. This machine offers a UDOR 18 GPM at 4,000 PSI water pump and Hibon positive displacement blower at 28” Hg with 4” system. The Model 400 ECO combines the power of a standard combination truck with unprecedented maneuverability not available on the market today. The Model 400 ECO is the right size, right fit for jet vac applications.